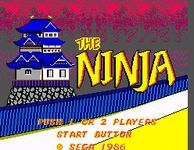 Throughout your journey to the Ohkami Castle, you'll battle evil ninja warriors. Once there, you must destroy their leader Gyokuro. Only then will you be able to save the princess from her prison insode her castle.